The riot wages on! 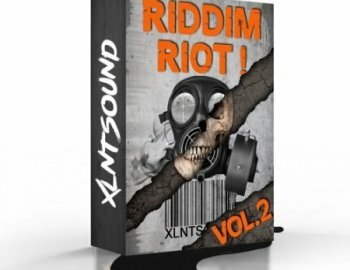 After the huge success of our first riddim pack, we proudly present to you Riddim Riot Vol. 2. Stockpile your Riddim arsenal with over 250 of the hardest-hitting, high-quality dubstep samples on the market. For our deathstep/metal lovers, we've included roaring guitar loops and scream vocal samples! Take a listen to the demo track "Throwing Bows" to below to get an idea of what you can cook up with our heaviest Riddim pack yet!